Swap went well, no issues. However, I have 1 gray 3 wire connector not connected to anything. 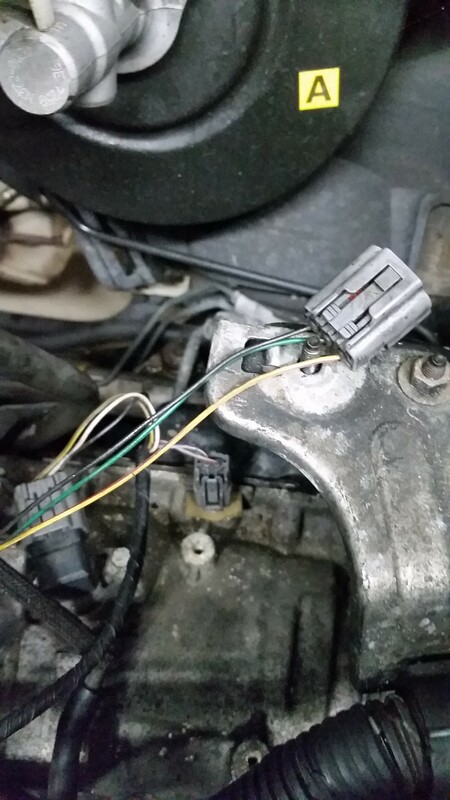 It is part of the engine harness, it seems to want to go towards the transmission. Anyone know where this goes. I have not driven the car as I do not have any coolant, I will get some tomorrow and take it for a drive. it bugs me that this plug is not connected. I hope someone knows where it goes, I have looked everywhere for it! Just want to post it in case anyone ever searches for the same thing. The back of the trans, closest side to the firewall is a sensor. The connector goes there to it. Now onto fixing it's other issues. Congrats on solving it and thanks for circling back to close the loop.